The Auckland Unitarian church was founded in the mid 1800’s in order to provide a space for free thinking people whose beliefs failed to fit orthodox Christianity. It was formally founded in March of 1898, although services date back to the 1860’s. A small group of people founded the Auckland Unitarian church. They were from Britain and Australia and had either been introduced to Unitarianism personally or through their parents. 1900 – Appointment and arrival of its first Minister, Rev William Jellie, an Irishman with nine years experience of Unitarian ministry in England. His influence remained strong until his death in 1963. 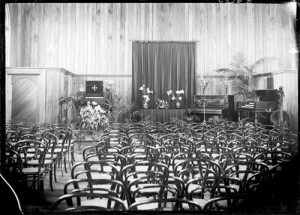 4th Dec. 1901 – Opening of the Churchs own Meeting House at 1a Ponsonby Rd. 1904 – Installation of the organ, one of the best in Auckland, a gift from the Macky family. 1914-18 War – 40 male members of the Church were enlisted and six were killed. 1923 – Harriet Morison, a leading NZ trade unionist and suffragist, was elected as Chairperson. 1928 to1934 – Joint ministry of Rev William Constable and his wife Wilna. An Oxford graduate, Wilna was the first woman to be appointed Minister in any NZ Church (outside the Salvation Army). 1936 to1939 – Ministry of Dr Cyprus Mitchell, an Australian, who expanded the Church library. 1948 to 1958 – Rev. Ellis Morris, a Welshman, who had worked in India, was Minister. 1958 to 1962 – American part-time psychotherapist, Maurice Wilsie, was Minister. 1962 to 1971 – Lay leadership of the church. 1971 to 1983 – Rev Douglas Webster as full-time Minister helped to build the Civilian Maimed Association into a strong organisation in Auckland. 1983 to 1989 – Lay leadership shared with several interim ministers from the USA and Canada. 1989 to 1996 – Reverends Max and Linda Landau Moss from the USA were joint part-time ministers. 1996 to April 2003 – Lay leadership shared with more interim ministers from the USA and Britain. 2006 to 2013 – Lay leadership shared with interim ministers from the USA and Britain. 2013 – Rev. Dr. Matt Tittle Consulting Minister in association with lay leadership. Sept 2014 – Present Rev. Clay Nelson Consulting Minister in association with lay leadership. What activities have been associated with the Auckland Unitarian Church? 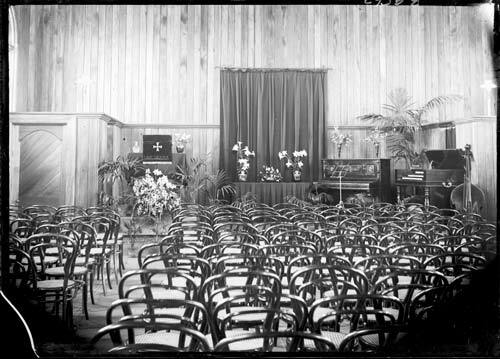 Ministers and members of the Church have helped to found social organisations in Auckland, for example; Nellie Ferner started the Sunshine Clubs for elderly people in Auckland in the 1930’s; Maurice Wilsie and Nancy Fox started the Mental Health Association; the 1960’s saw a lot of activity with Eem Sikkema and others starting the Humanist Society, Noel and Thelma Blyth formed the Rafters Folk Club and Wayne Facer and other university students held a Friday evening coffee and discussion group; in the 1970’s Douglas Webster and Gwen Harwood helped to found the Civilian Maimed Association . 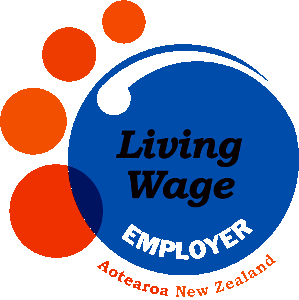 Ministers and members of the Church have also helped existing Auckland organisations to function, such as the Workers Educational Association, Halt All Racist Tours, Campaign for Racial Equality, Amnesty International, by offering use of the Church building and resources and taking leadership roles. The Church was one of the first to be involved in Church Radio Broadcasts in the 1930’s. What have been the aims of the Church? The Church has never had a written Constitution. From its beginning in 1898, it has a Trust Deed which says that no particular doctrine, opinions or mode of regulating worship is required to be taught or observed or forbidden to be taught or observed. Practices have varied over time, according to the wishes of Ministers and members. Freedom of the pulpit is regarded as a fundamental principle of the Church. 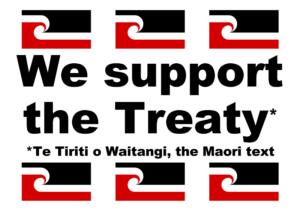 A broadly expressed statement of its values was agreed on in May 1989 by members, with the help of a Canadian Minister, Rev Philip Hewitt, author of the book The Unitarian Way. This covenant is open to revision at any time.